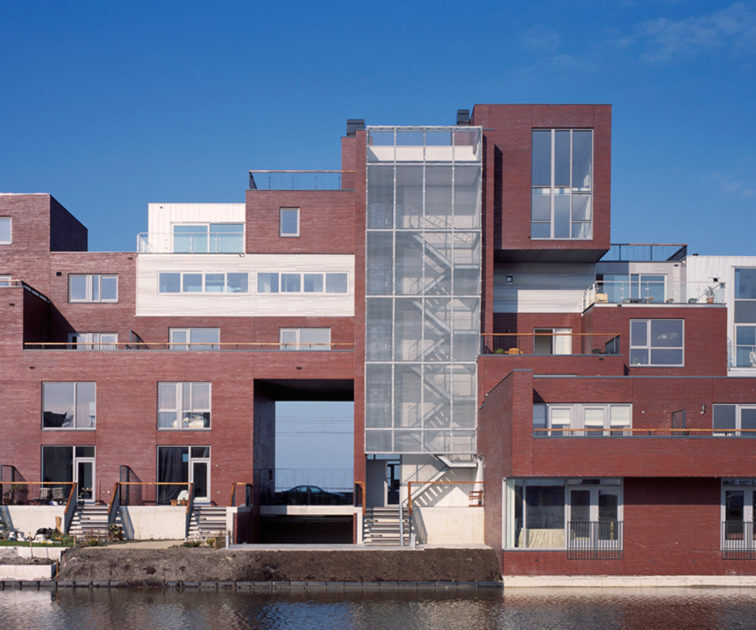 Rooftop building also provides a new strategy for new building. 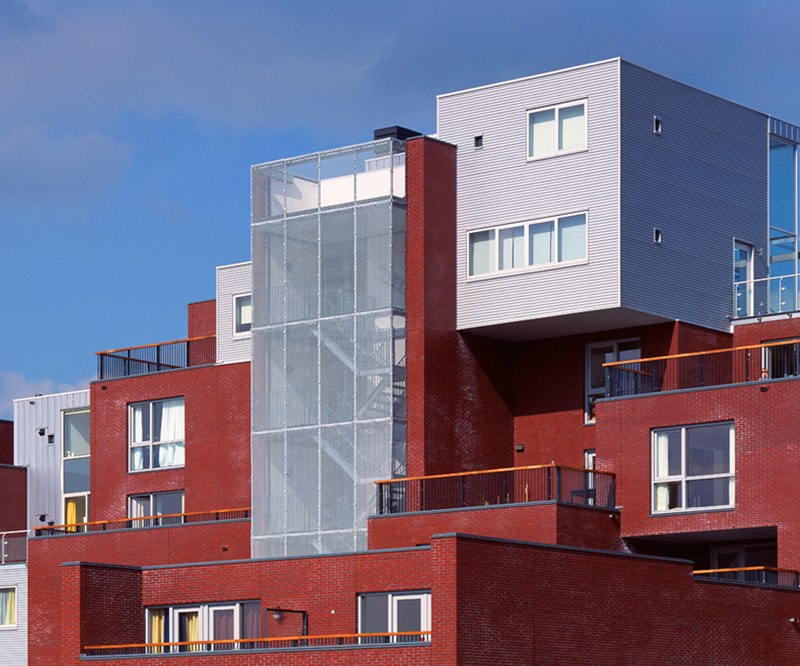 Placing buildings on top of one another leads to programmatic differentiation and architectural diversity. The dissonance that the difference in styles produces is a challenge to deal less rigidly with new buildings than when everything is designed by the same architect. 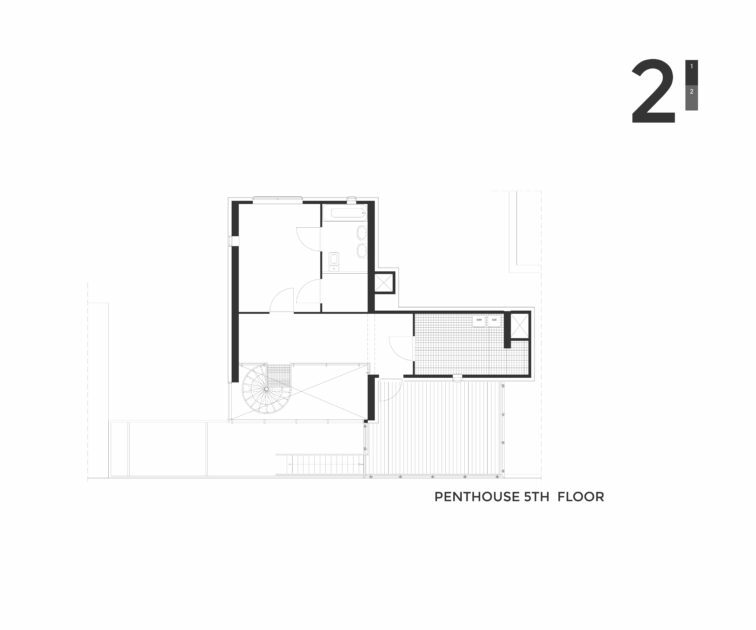 The different styles also entail a layeredness of scale, allowing these buildings to become more organically embedded in an urban context. 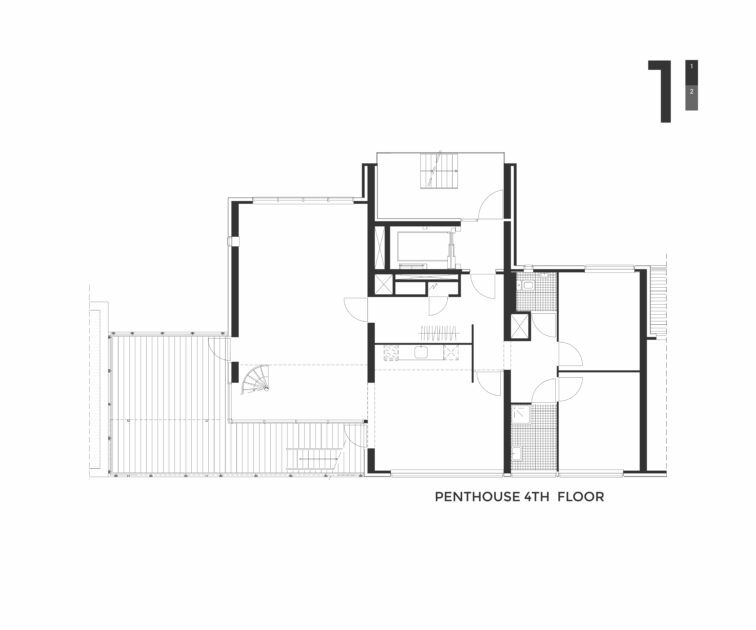 This collection of dwellings forms a collage of spaces, programme and materials with a diversity of character that one rarely comes across in new building projects. 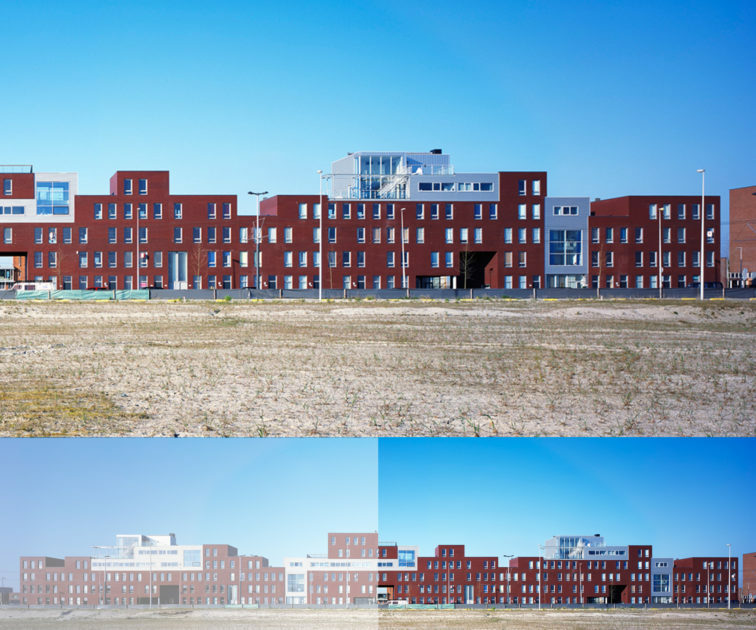 A large apartment block that was recently built in IJburg is similar in process, though the programme and elaboration are completely different. 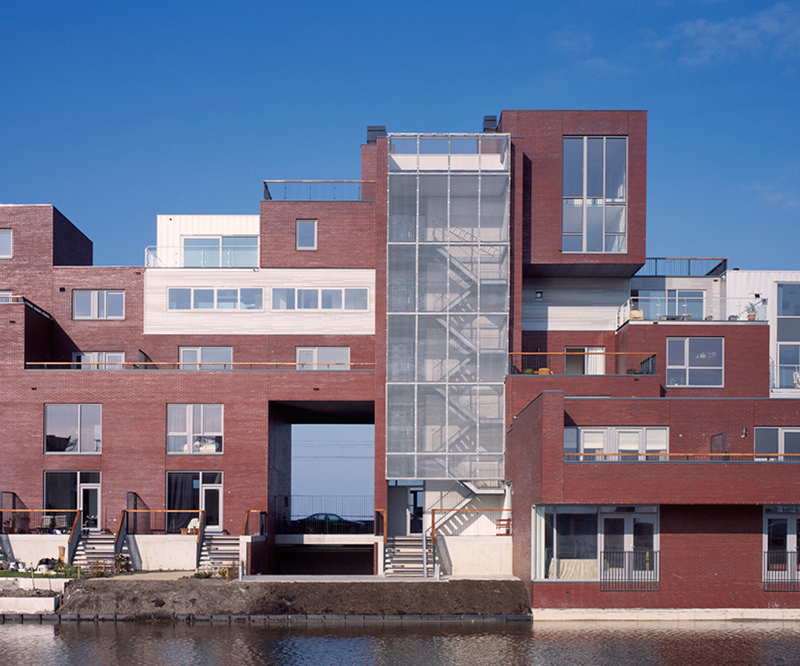 Several architects had to work together on one block for this new district of Amsterdam. The same applied to block 16A, where Vera Yanovshtchinsky Architecten designed a block together with Archipelontwerpers. 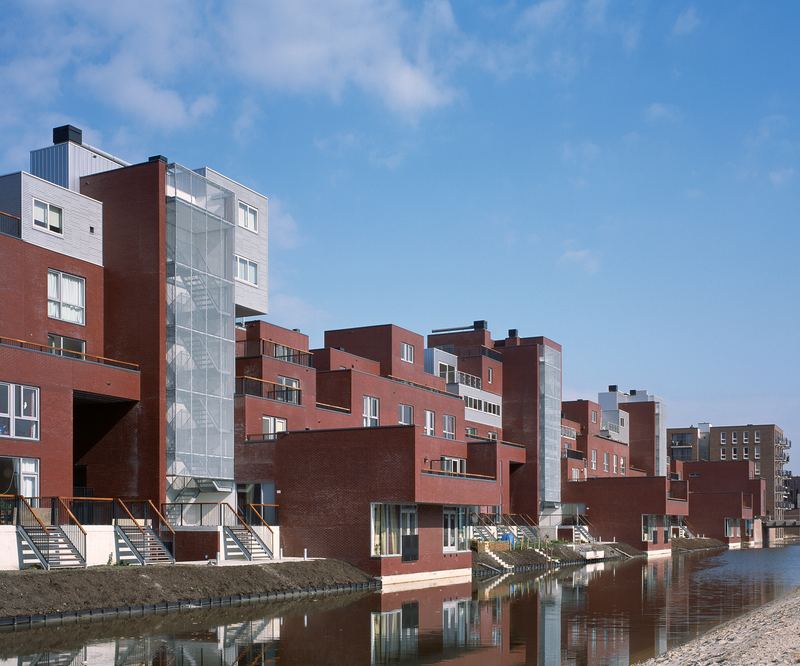 Instead of dividing the block into a number of plots to be designed by the two architects, it was decided that Vera Yanovshtchinsky Architecten would design a total structure within which Archipelontwerpers would introduce a number of implants, based on a few simple agreements regarding construction, access, cabling and piping, and materials. 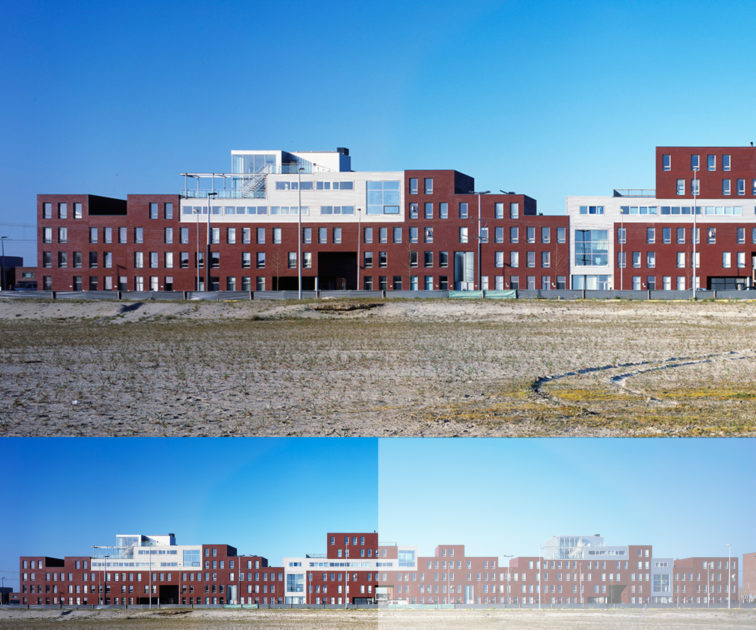 Two of the steel implants explicitly refer – as a statement – to the penthouses in Scheveningen.